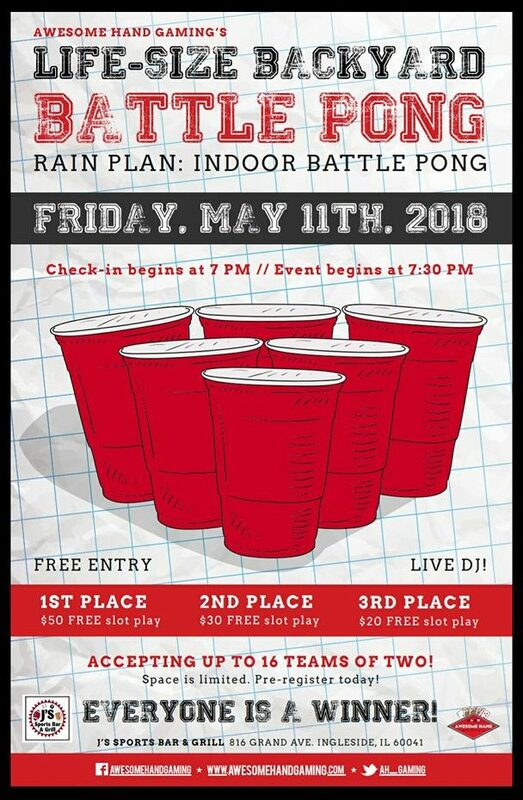 Awesome Hand Gaming Presents Life-Sized Backyard Battle Pong at J’s Sports Bar and Grill, on Friday, May 11th. Accepting up to 16 teams of two. Space is limited, Pre-register today at J’s.